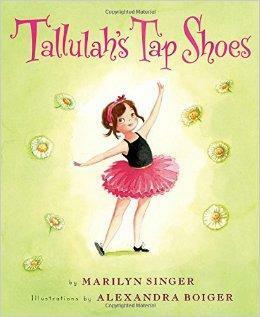 The latest installment in the popular Tallulah series has Tallulah trying something new: tap! If you have students who feel uncomfortable trying new styles, this story demonstrates the rewards of hard work and persistence--all from a plucky protagonist's point of view. Enter below to win a copy! As many artists know, being a great dancer does not necessarily make you a great teacher. No matter your talent, it takes dedication and practice to become an effective educator. That’s why we’re so excited to see American Ballet Theatre’s Misty Copeland putting in time at the front of the classroom. 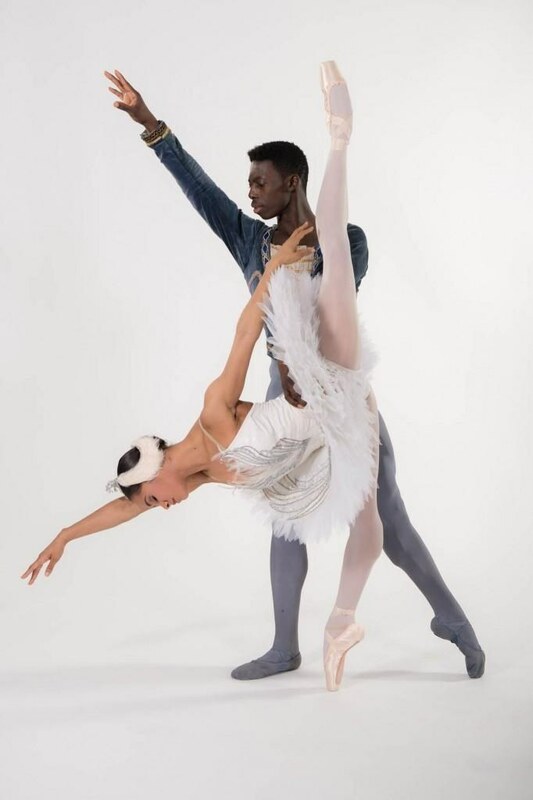 The ballet superstar has already visited Boys & Girls Clubs as a member of ABT’s Project Plié advisory committee and leads master classes here and there at ballet institutions. Now she’ll star in a reality TV show that will focus on her as a teacher. The Oxygen network is developing a show called “The Misty Copeland Project” (working title). It’s described as a “docuseries” that will follow young pre-professional students who travel to New York City to be mentored by Copeland. We can’t wait to see how she works with the dancers to take their training to the next level! Sophomore Lindsay Deitchman says it took her a full semester to feel comfortable at Ohio State University’s dance program. Competing with studios in Westchester, New York, she had little modern dance training and didn’t understand how it would benefit her career. “It was really hard for me to accept that this training was going to be helpful. I knew it was going to be different, but I didn’t think it was going to be completely on the other side of the dance spectrum,” she says. A competitive dancer’s transition from studio to college can be jarring. It can be hard to excite them about learning new approaches to dance. They will most likely have to change the way they execute steps, try unfamiliar and uncomfortable styles and perform repertoire that they find downright boring or strange. The biggest barrier college professors have to break is perspective. “A lot of our job is to release some of the expectations that these students have about dance. College isn’t about doing what you’re told. It’s about nurturing inquisitiveness,” says Megan Durham, a professor at Ohio State University. It’s often the aesthetic of her postmodern dance class that shocks newcomers most. “I think sometimes my class is honestly quite unsatisfying to former competition dancers. They will tell me, ‘I just don’t get this,’” she says, admitting a dance BFA isn’t for everyone. A few dancers from competitive backgrounds left the program this year to seek other career paths. To get a feel for a prospective incoming class, Juilliard interviews applicants as the last step of the audition process. “We want to know that the students have an open mind about learning a broader view of dance and theater, to truly taste and embrace a culture that may have eluded them,” says Corvino. Durham has new students write a letter about their goals in training and performance so she can figure out how she should proceed with each group. She returns letters at the end of the semester so they can track their growth. Nuanced quality of movement is another area where these students struggle. “They seem to place a high value on sharp attack and dancing in pictures as opposed to really dancing in between,” Durham says. This was the biggest correction Deitchman got upon arriving at OSU. “Competition is a showcase, and I was always worried about how I looked. Now, instead of me saying, ‘Oh, I’m kicking my leg up and that looks great,’ I feel the sensation of how I’m moving and I don’t need to look in a mirror to know if it’s right or not,” she says. In fact, OSU studios don’t have mirrors, forcing the dancers to rely on feeling their movement for self-evaluation. Durham says that once students understand dance isn’t just about poses, they can relinquish the idea that every step must be given full physical effort. “Muscular efficiency sometimes means don’t give it your all. Otherwise it limits a dancer’s qualitative range,” she says. Experiences like these inspired Deitchman to experiment, even outside her courses at OSU. After having discussions with professors and peers, she sought out Gaga classes—a task-based method pioneered by Ohad Naharin, artistic director of Batsheva Dance Company. Deitchman says it has been one of her biggest eye-openers because it taught her a new way to move and listen to her body.